Sorry - On Hiatus after 22nd June 2018 - Email me if you'd like me to contact you when the workshops restart. Get your weekends off to a creative start and add a little sparkle to your life! Friday Night Writes workshops are designed to inspire and motivate through a series writing exercises. Rediscover your creativity and explore your ideas in a supportive environment. New prompts and exercises each week. Writers of all abilities and interests are welcome. All you need is a pen and notebook. No previous creative writing experience necessary. 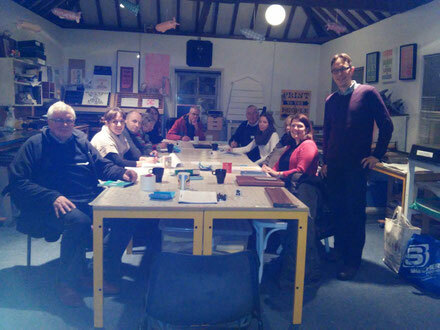 Workshops runs 6.30pm to 9.00pm (plus optional socialising until 9.45pm). There will be a break for tea and coffee. Group size limited, so pre-booking essential. The cost per session is £12 - Book a week ahead and save £2! Recommend a friend who books, save an addition £2 off a session. The workshops take place at The Stage, 52 St Augustines St, Norwich NR3 3AD. 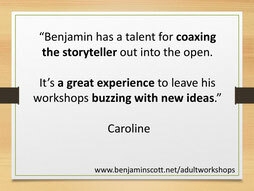 Email Benjamin (workshops 'at' benjaminscott.net) or text/call 07879 275750 to book a place or for more information. Please note that payment is required to secure your place at the workshops and that there is a cancellation policy (full refunds are given if cancellations are made up to 72 hours before the course). Recommend a friend saving is only payable for new participants who have not attended a previous Spring Writes, Dark Night Writes or Friday Night Writes. They must pay and attend a session before the saving is passed on. Tutor: Benjamin Scott is the author of eleven books and teaches creative writing in a range of schools and organisations, including Oxford University Continuing Education, the Writers’ Summer School and the Uppingham Summer School. 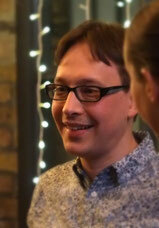 He coaches and gives editorial feedback to writers from around the world.